Miss Directions: The next step. I flew to Brisbane on Thursday for my interview for 'Job'. I still haven't heard anything about 'Senior Job' and was told they would probably rush the process on this one so they are announced at the same time...sometime over the next few weeks. 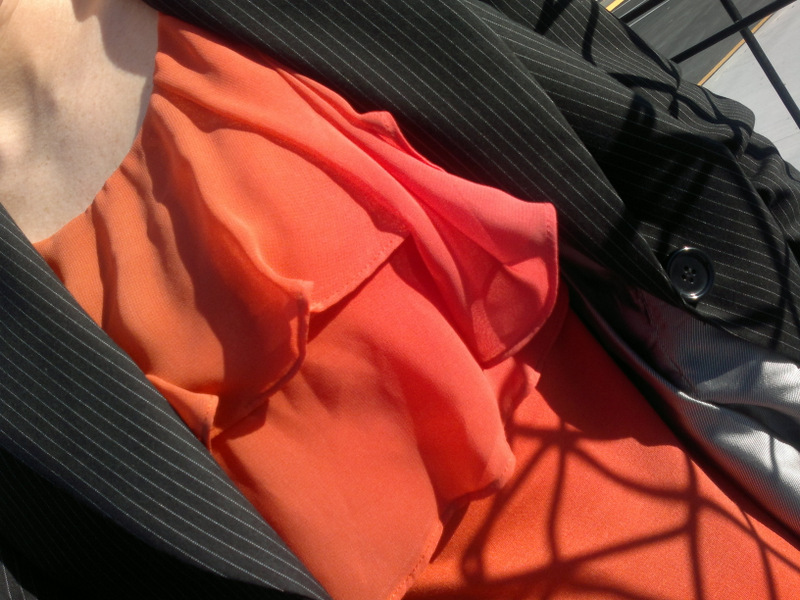 I wore orange with my pinstripe suit (jacket/skirt) combo. 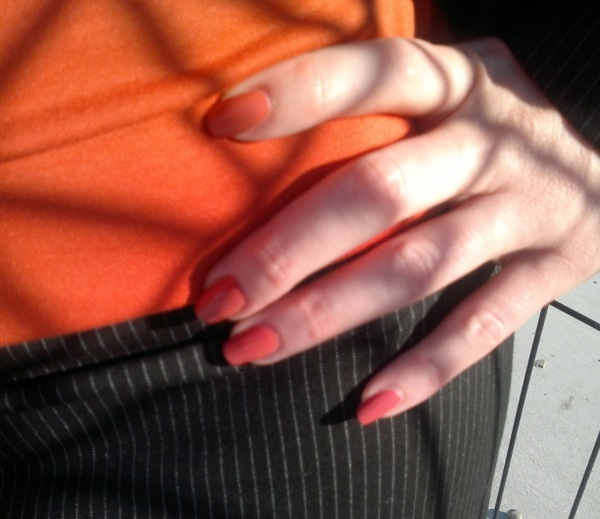 A little less aggressive than my favourite red when teamed with matching nail polish. It suited the brilliant, sunny, 29 degree day that Brisbane presented me with. And may have been a good omen as the interview went really well. We have all the luck right? Don't uncross those fingers yet. My fingers are still crossed for you both! Good Luck! !